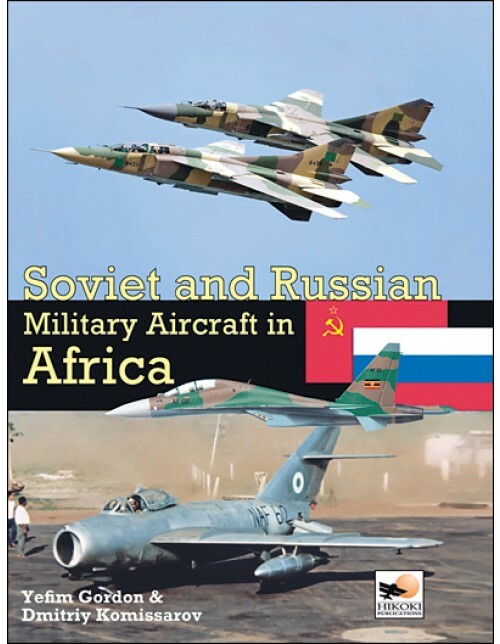 Soviet and Russian Military Aircraft in Africa includes comprehensive fleet lists of all known Soviet/Russian military aircraft together with their Chinese derivatives. From the outset, the export of revolution and Communist ideology had been one of the cornerstones of Soviet Russia's (and later the Soviet Union's) foreign policy and by the mid-1950s the export of Soviet arms expanded into Africa with Algeria being amongst the first African countries to receive Soviet combat aircraft. By the 1960s and 1970s, a large number of African states had gained independence and the Soviet Union increased supply. This situation persisted until the early 1990s when most of the former Soviet allies shed socialism and switched allegiance to the West. Having often been flown by foreign volunteer or mercenary pilots such as the Cubans in Angola and South Africans in Sierra Leone, Soviet/Russian military aircraft can now be seen in countries as varied as Algeria, Libya, the Congo, Ethiopia, Eritrea, Uganda, and Sudan. Combat types from the MiG-15 to the latest Su-30MK fighters, Su-24MK tactical bombers, Su-25 attack aircraft, Mi-24/25/35 helicopters and transports from the Antonov An-12 to the Il'yushin Il-76 can all be seen across Africa. 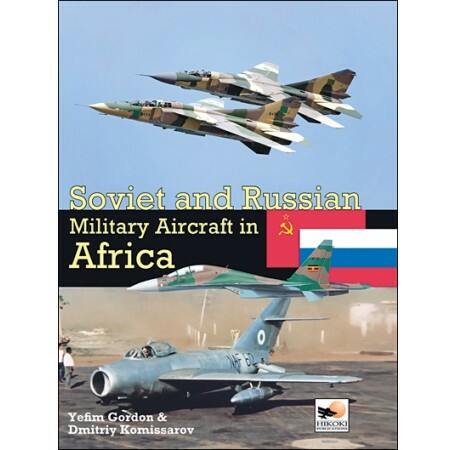 Arranged by country and using previously classified sources, Soviet and Russian Military Aircraft in Africa includes comprehensive fleet lists of all known Soviet/Russian military aircraft together with their Chinese derivatives. Highly illustrated with contemporary photographs, air force insignia and color profiles this book forms an invaluable reference for modellers, enthusiasts and aviation historians alike. As every conflict involving Egyptian aircraft has been fought in the Middle East, full details of those aircraft will feature in the forthcoming companion volume Soviet and Russian Military Aircraft in the Middle East.